The Live Music Capital Foundation wants to take you time-traveling back to 1959 with this special Valentine's Day concert. Isaac Pena and his 25-piece orchestra will perform his own arrangements of works straight out of the great American songbook, including tunes from Nat King Cole and Frank Sinatra. 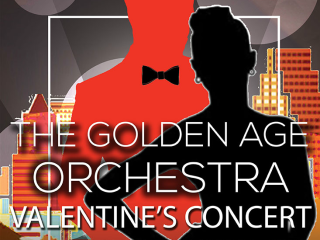 The Golden Age Orchestra will accompany Austin vocalists Ginger Leigh, John Pointer, Suzanna Choffel, Gina Chavez, Luis Angel Ibanez, Robert Kraft and Juliana Sheffield on stage. The event is BYOB, so feel free to bring your favorite beverage along for the ride.